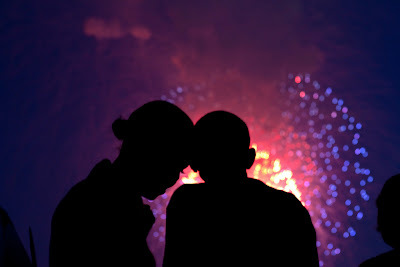 President Barack Obama and First Lady Michelle Obama watch the fireworks over the National Mall from the roof of the White House, July 4, 2010.
amazing image and for some reason it reminded me of Nelson Mandela. those colors are amazing! and that's true, you don't need to see more than their shapes or shadows to know it's them. Pete Souza is the man!